During the last 6 days, I had three more lectures on ASEAN Economics, Security and Connectivity in the morning. 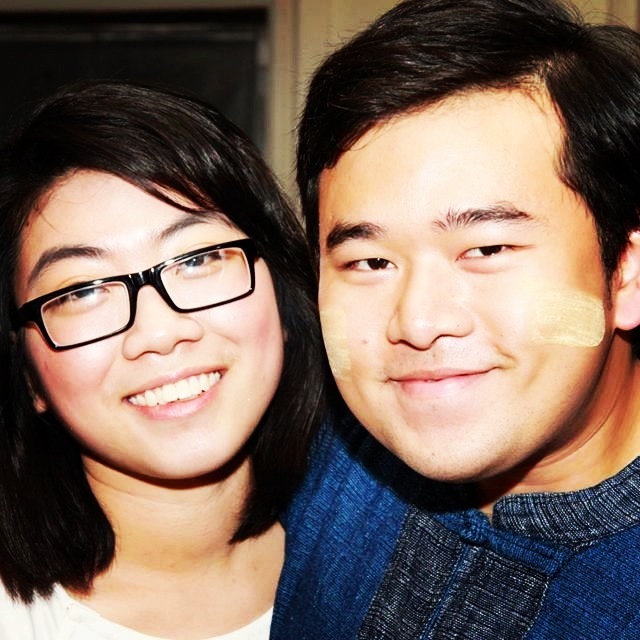 The lecturer of Economics class turned out the one I had met in Hanoi before. In the afternoon, I continued to attend Advocacy workshop and Discussion Group of Media Role. Both of them were very nice, but I preferred the workshop as I had chance to do many meaningful activities such as drawing pictures, acting and doing flash mob. In the final lecture of the workshop, we studied and practiced flash mob based on Gentleman song by PSY, then did it in dinner time while others were eating. It was very surprising and awesome! The below is video on doing flash mob in our advocacy workshop! Enjoy! On the 21st, we had a culture night. Every delegation prepared and decorated their booth carefully and beautifully. Our performance which was fashion show and singing was very good. The audience seemed to like it a lot. Other delegation’s performances were interesting and great. 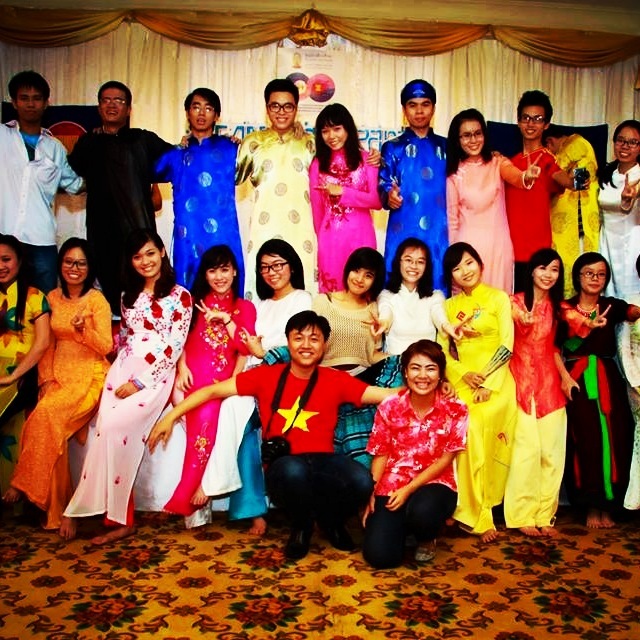 Some performed their traditional costume and stuff. Some gave us beautiful dances and songs. After all performances, we danced and sang a lot till late. That night was so fantastic! 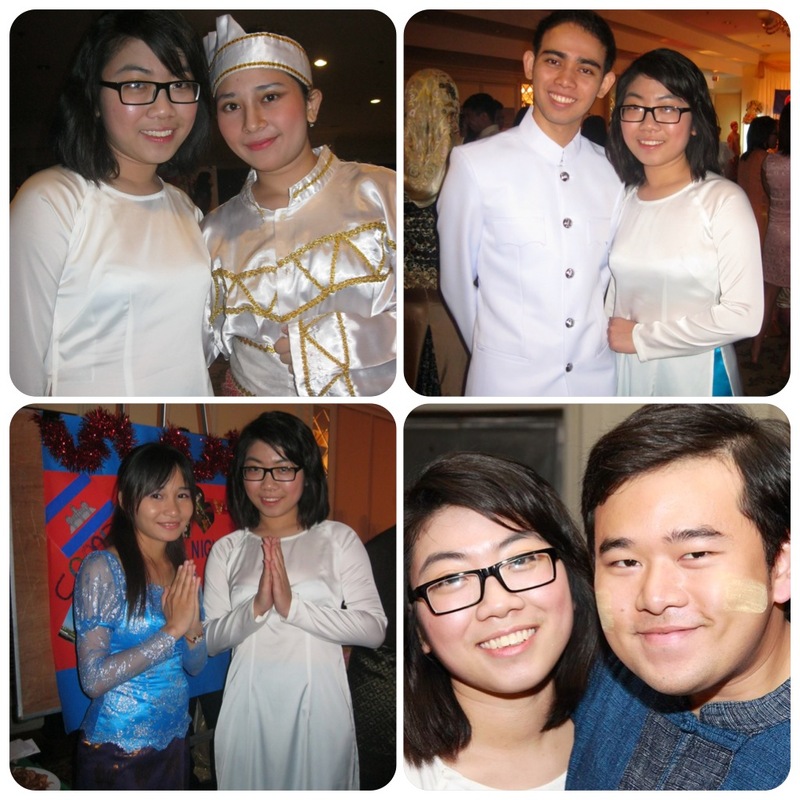 I also took lots of photos with other delegates in that night! Unluckily, I was sick after the culture night. Coughing, having a temperature, and being tired. I took some medicine but still felt tired. However, I couldn’t skip class so I tried to go to bed earlier than usual to help me feel better in the following days. On the 23rd, we did a field trip to Ayutthaya, which was previous capital of Thailand. We visited some museums and temples and watched movies but I was tired due to being sick so I couldn’t pay attention to anything as well as get anything to my mind. We had lunch at a floating market and spent the rest time shopping. I bought lots of things as souvenirs for family and friends. After lunch, we moved to another temple.Feeling better, I could join people posing and discovering the place. We took photos of group here as it was our last stop in the excursion. We spent night time going shopping in shopping malls as we were busy with lectures and workshops in daytime. Stuff here was not expensive, compared with ones in Vietnam or some countries like Malaysia, Indonesia, Singapore or Brunei so we shopped lots and lots (My roommate spent 5000 Baht/ night shopping, only for shopping). We shopped in Terminal 21, MBK, Siam Paragon and night market. We wanted to go to Platinum shopping center as people said the stuff there was cheap, but we couldn’t do that as time was limited. In the last two days, we did presentations on workshop and discussion group. Our group presentations were interesting that made me so proud of them. I also did interview , answered questions and took photos with media. After presentations, all delegations made a circle and stood together like a family. We wrote words to one another as well. Some people including me couldn’t help crying at that time as we all knew our time was about finished. The time we had together was priceless and unforgettable. Tears couldn’t stop running on my cheeks to such an extent that a Bruneian guy asked me if I still cried in dinner time. “Nope, I stop. I had better keep my tears for tomorrow!” I answered him. We had a farewell party in a place which was far from the hotel. We took photos (our last photos together), hugged and gave words to one another. I cried while going to say last words and hugging them. They all were loveable and interesting that I didn’t want to say goodbye. On the bus back to the hotel, I no longer cried but still felt sad. Vietnamese delegation left for the airport at 4am so our remaining time wasn’t much. I spent my humble time writing some words for some people I was extremely interested and thankful. Some delegates of other delegations stayed with us till we got in the bus. I was just close to some of them in the last few days. I wished we had had more time to become closer. It was very touching to see people doing the song “1,2,3,4,5 I love you” for us when we were about to leave. That made me cry! During 10 fabulous days, some things became familiar to me: The schedule of 6am waking up, 7am having breakfast, 8.30am going to class; Sukhumvit Road leading to Terminal 21 and BTS station; Windsor Hotel; classes of workshop and discussion group; tea break; “you are my sunshine” board; especially awesome friends. My life has changed since I met them. How rich I have become after this camp: knowledge, happiness and friendship. How lucky I am to know and be friend of such great people. No words can describe my emotion at the moment as I have been suffered “AYRA fever/symptom”. My facebook has been full of AYRA photos, comments and emotions of people. The program is over but friendship never ends. We will meet in some day! Travelling in ASEAN is no longer a big deal now as we are unity and family!